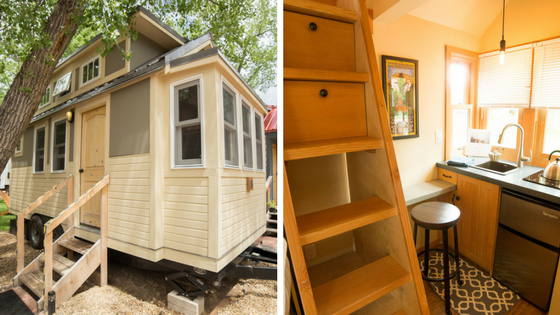 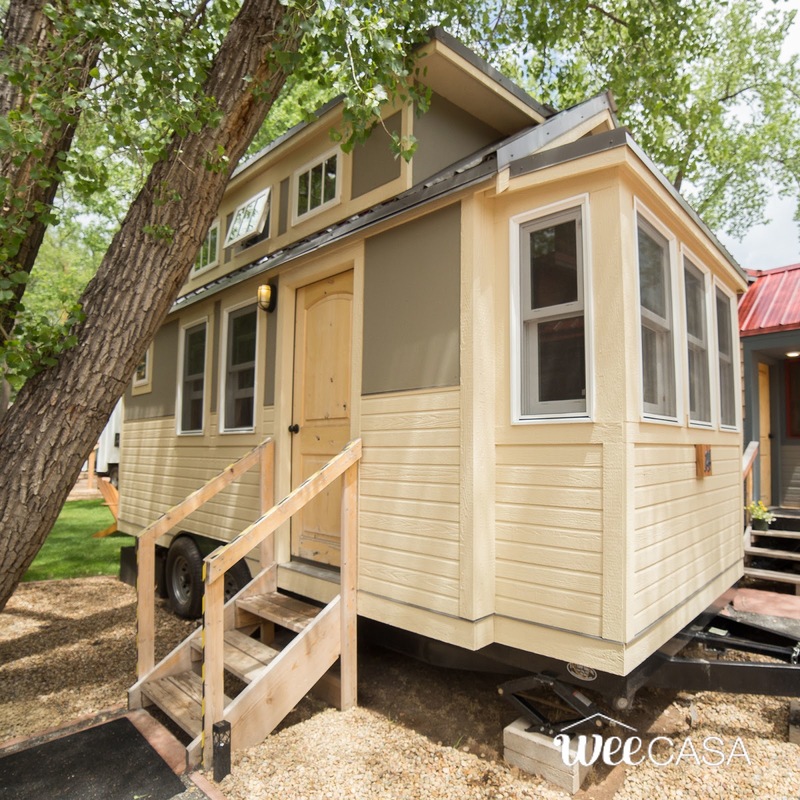 If you've always wanted to try out tiny house living, then look no further than the Roaring Form Aspen at the WeeCasa Tiny House Resort! 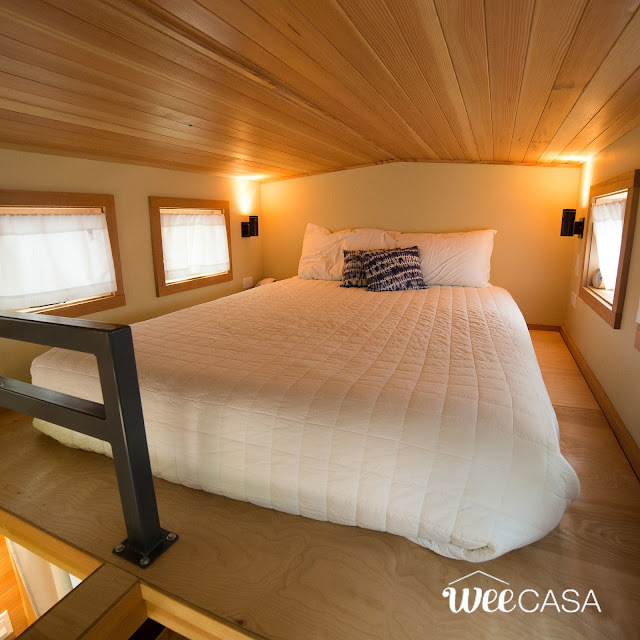 The 170-sq-ft tiny house is built onto a double-axel trailer and has enough room to comfortably accommodate up to four people. 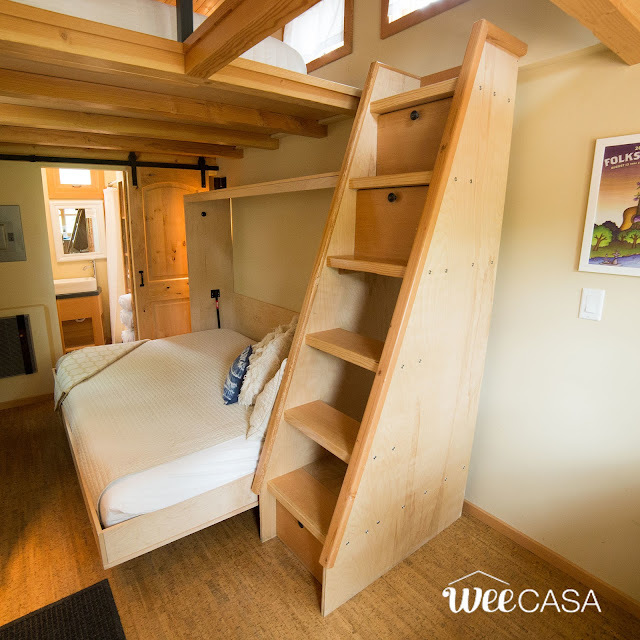 There's a queen-sized Murphy bed on the ground floor, and a second queen-size bed in the home's loft- accessible by storage stairs. 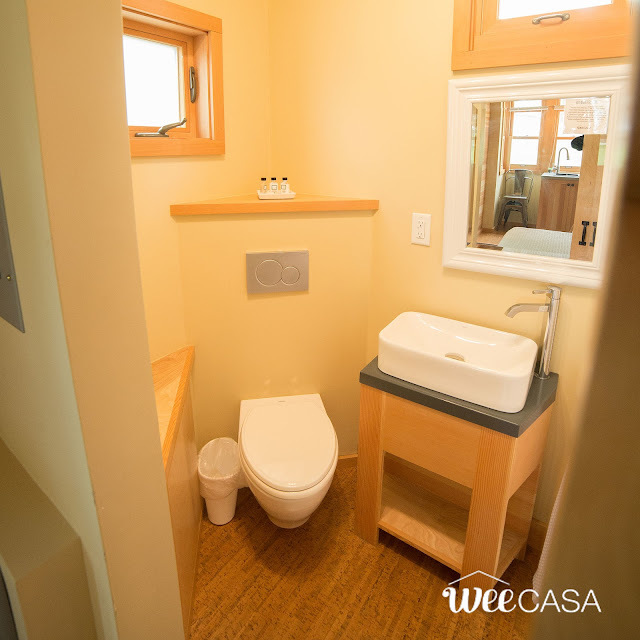 Also included in the home is a kitchen, bathroom, and cork flooring. 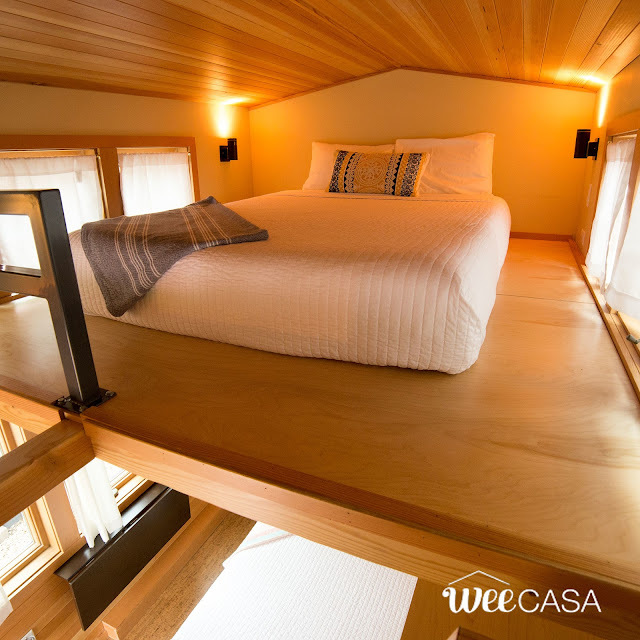 Extra cool factor: the Roaring Fork Aspen was featured on season 3 of Tiny House Hunters! 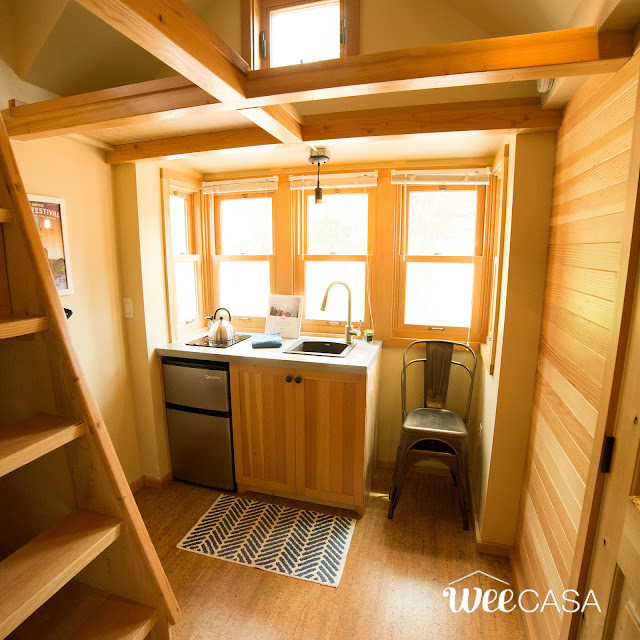 You can book the Roaring Fork Aspen for $119 a night here at the WeeCasa Tiny House Resort! 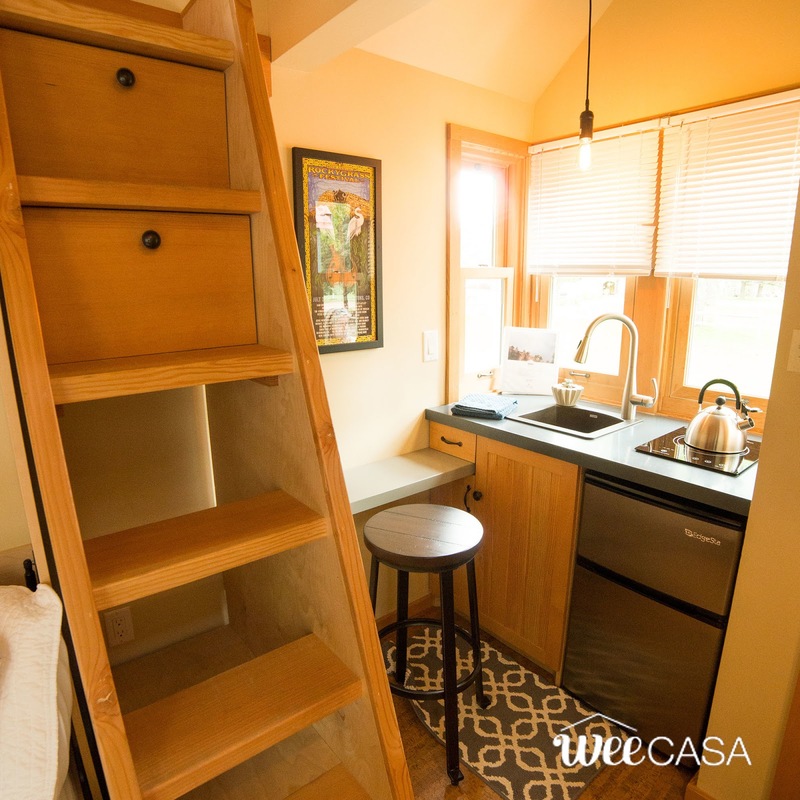 You can also check out these other tiny houses, also available at WeeCasa.